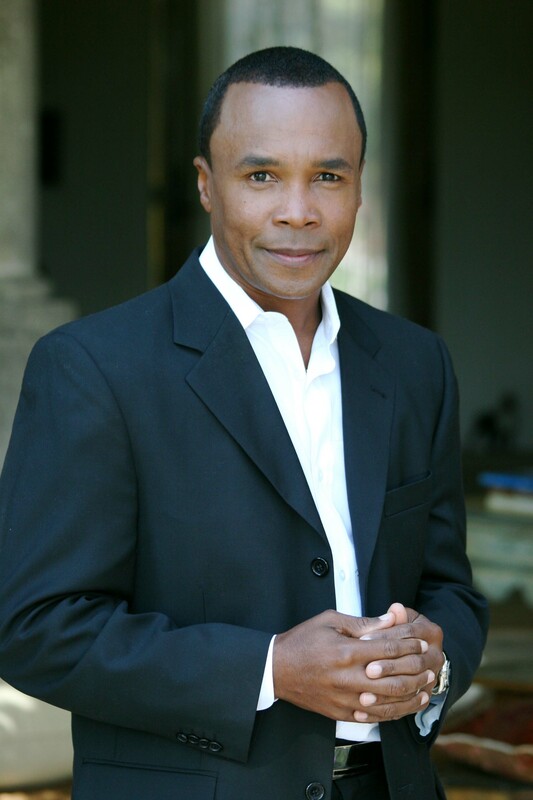 April 1, 2019 – Legendary sports icon Sugar Ray Leonard will take the stage at Dykema’s 6th Annual Definitive Conference for Dental Service Organizations. Leonard will inspire with stories of what it took to reach the apex of his career and then transition from athlete to entrepreneur. Last year’s record-setting conference was at full capacity, so register soon so you don’t miss out on this special keynote presentation and the latest DSO industry trends and best practices! March 7, 2019 – Brian Colao provided legal perspective and insight to an audience of dentists and practice executives who currently manage many locations, as well as those who aspire to own and manage a larger enterprise of practices. The two-day course, held by Breakaway, teaches the ins and outs of advanced practice management. February 23, 2019 – Brian Colao recently presented at the 2019 Cain Watters Annual Meeting, speaking on the topic of "Positioning Your Organization in the Evolving DSO Landscape." In it, he discussed the covered the current state of DSOs, emerging alternative DSO structures, and other important trends for practitioners and investors to take note of. January 31, 2019 – We are pleased to announce that Dykema’s DSO Industry Group Director Brian Colao has been named to Group Dentistry Now’s inaugural “2019 DSO Influencer’s List.” Brian is the only lawyer to appear on this list of the major “movers and shakers” in the DSO industry. The list was established by GDN after seeing a significant and positive evolution in the DSO industry, and they attribute those positive changes to the industry’s most invaluable resource: its people. “GDN is committed to the success of DSOs and the people who work for them. Now, we are recognizing DSO influencers, ” according to GDN. To read about all of the 2019 recipients, click here. If you are interested in your options for growth, this is a must-attend event. To register, click here. January 8, 2019 – DSONews.com has featured an article written by DSO attorney William Kohler and Craig Woods, and discusses four best practices for dealing with or building DSOs. The article is targeted for those interested in transitioning and want to know more about DSO deal structures and for those who are looking to build their own DSO. Click here to read the full article. December 18, 2018 – Attorney Zach Hoard will be speaking on the topic of "Legal Structures for Growth: Understanding the Various DSO and Partnership Structures" at the upcoming Dental Group Evolution Conference in Scottsdale, Arizona on January 10-11, 2019. He and Craig Woods will also be a panelist in a discussion entitled "Associate Compensation, Orientation & Professional Development Plans that Promote Retention." November 15, 2018 – Attorney Brian A. Colao didn’t let freezing rain and multiple flight cancellations stop him from presenting at this year’s Scaling Up Symposium in Louisville, KY. Speaking remotely, Brian addressed a packed house this morning as he covered the current state of DSOs, emerging alternative DSO structures, and other important trends for practitioners and investors to take note of. October 3, 2018 - Group Dentistry Now reported on and summarized Dykema’s 5th Annual DSO Conference in its article, “Recap of Dykema’s 5th Annual DSO Conference.” The article attributes the booming attendance at the event to the unbiased, comprehensive, and extensive roster of programs, notes its unparalleled networking opportunities, and provides a link to the official program. Additionally, the article recognized Brian A. Colao, Dallas-based member and Director of the Dykema's Dental Service Organizations Industry Group, for his opening presentation. September 6, 2018 - Craig Woods, Dallas-based member in Dykema's Dental Service Organizations Industry Group, was interviewed by DrBicuspid.com for the article, “Associate pay, Ownership Lead Small-Group Formation Issues.” Noting the growing popularity of DSOs, Woods tackles sensitive topics such as determining who will be owners and who will be employees in the new enterprise, the setting of salary levels, and drafting non-compete agreements. To read the full article, click here. July 26, 2018 - Zachary M. Hoard, Dallas-based member in Dykema’s Business Litigation Group and the Dental Service Organizations Industry Group, was the subject of the DrBicuspid.com article, “Lawyer Advises Growth Focus for Small-Group Formation.” During an interview at Dykema’s Fifth Annual Definitive Conference for Dental Service Organizations, Hoard discussed arriving at a decision to set up a DSO, and the importance of efficiency in the management of dental offices. To read the full article, click here. To hear the entire Dental Hacks podcast, click here. April 18, 2018 - Brian A. Colao, Dallas-based member and Director of the firm's Dental Service Organizations (DSO) Industry Group, was recognized as the foremost expert in the field and invited by DentistAdvisors.com to explore the nature of DSOs in its Dentist Money Show interview. During the 40-minute podcast, Colao explains that DSOs are management companies who handle the non-medical activities of dental clinics and that their increasing popularity among dentists is due to resultant economies of scale and increased profits for multi-office practices. Colao covers a wide range of topics such as reaching the decision to enter into a DSO contract, the impact of the new tax code, the different classes of management companies, and helpfully defines accounting terms such as “EBITDA,” “earn-out,” “holdback,” and “rollover.” For practitioners who wish to learn more, he concludes with a reminder of the upcoming Dykema DSO Conference in July. To hear the full podcast, click here. February 22, 2018 - Brian A. Colao, Dallas-based member and Director of the firm's Dental Service Organizations Industry Group, made a guest appearance on the Bulletproof Dental Practice Podcast while attending the Voices of Dentistry Summit in Scottsdale, Arizona. In the podcast, Colao discusses the evolution and consolidation of the dental marketplace from doctor-owned single practices to DSOs. He points out that the market is being flooded with private equity funds as it allows non-dentists to make money in the marketplace, and highlights that the market saturation of DSO's is only at about 10 percent. To listen to the podcast, click here. August 17-19, 2017 – Las Vegas – Dykema DSO Director, Brian Colao will present at this annual event dedicated to giving attendees the tools and know-how to create a more successful business. Details can be found here. June 15, 2017 – During Dykema's 4th Annual Definitive Conference for Dental Service Organizations, Brian Colao, Dallas-based member and Director of the firm's Dental Service Organizations Industry Group, sat down with Dentist's Money Digest to discuss the importance of hiring attorneys familiar with dental regulations. In the interview, Colao points out that the skills of general health care lawyers may not necessarily translate to the dental regulatory field because of dentistry's very unique set of regulations. As an example, he mentions that on a state-by-state basis, it’s not uncommon for something to be allowed for a physician, but not a dentist. As a result, if there is a lack of subject matter expertise, there may be a big learning curve and work may not be executed as efficiently as possible. The full interview can be seen here. May 1, 2017 – World Champion Quarterback, Broadcaster, and Entrepreneur, Joe Theismann has committed to speak at Dykema's 4th Annual Definitive Conference for Dental Service Organizations in New Orleans this June. The complete media release can be found here. Dykema’s Annual Definitive Conference for DSOs rated as a "Top DSO and Dental Group Practice Events of 2016"
December 29, 2016 – Group Dentistry Now, a multimedia company dedicated to the DSO/Group Practice dental market, published their list of "Top DSO and Dental Group Practice Events of 2016". Dykema’s Annual Definitive Conference for DSOs was among those listed with the group saying, "Overall if you were looking for an opportunity to meet smaller group practices, mid-sized DSOs or PE groups this conference was a winner." The complete recap and comments can be found here. January 31, 2017 – Craig Woods, Zach Hoard, Arlene Steinfield, Eric White, and Brian Colao all participated in the January Group Evolution conference in Austin, Texas. Craig Woods served as host for the event with Zach Hoard and Arlene Steinfield covering human resources issues and Eric White addressing due diligence. Brian Colao provided a comprehensive overview of the federal, state and local regulations governing DSOs. He reviewed recent trends in regulatory activity, investigations by a variety of governing bodies, and reviewed new and changing state statutes and regulations. In addition, he discussed the varying levels of enforcement and regulation at the state level. November, 2016 – Brian A. Colao, leader of the firm’s Dental Services Organization (DSO) Group, was a featured speaker at three Enterprise Seminars for the dental practice management and consulting firm, Breakaway. 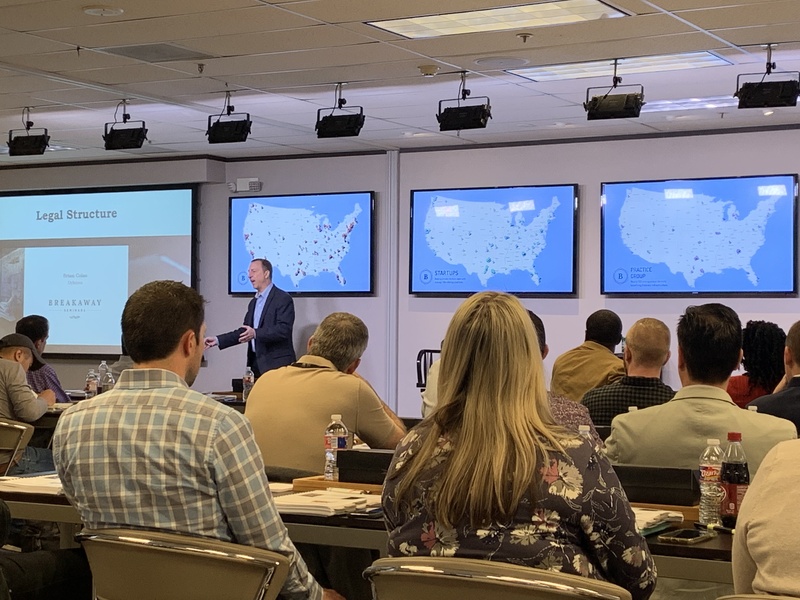 The seminars were geared toward dentists and practice executives who manage many locations, as well as those who aspire to own and manage a larger enterprise of practices. Brian served as an industry expert educating attendees on legal compliance issues facing DSOs. The events were held in April, August, and November of 2016. October 1, 2016 – Brian A. Colao addressed the attendees of the Master Company's 2016 Summit at the end of September. 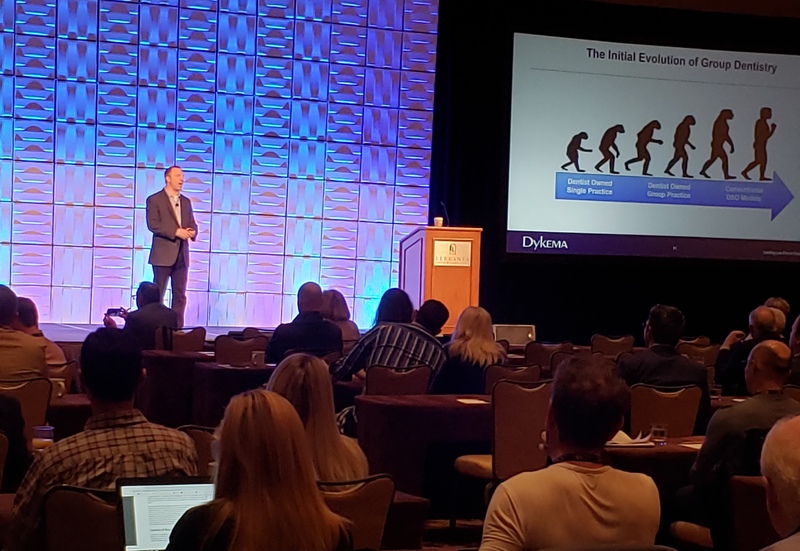 The annual event in Phoenix educates dental entrepreneurs on how to grow a successful managed group dental practice. Brian Colao's session addressed the legal issues that arise with associate hiring and compensation. 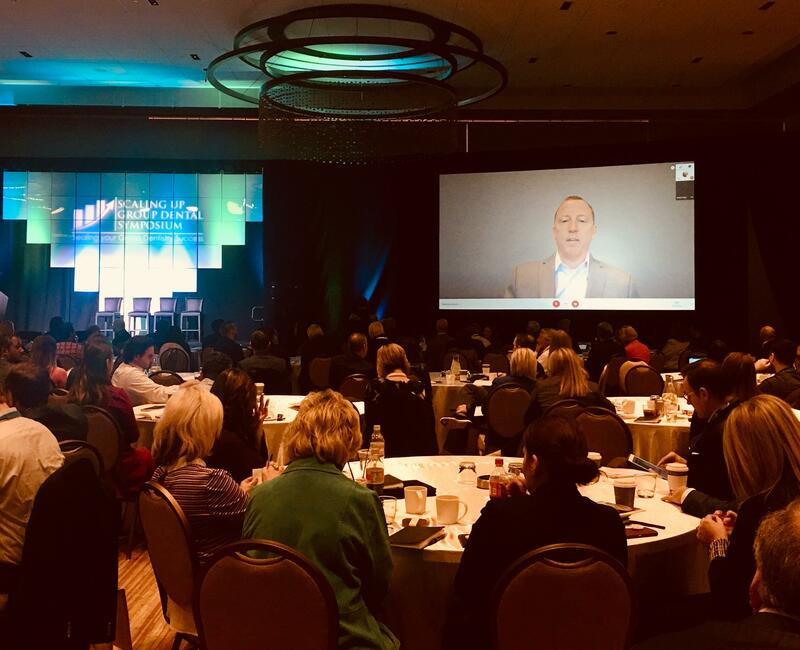 In the article, which also highlights Dykema’s 3rd Annual DSO Conference in Dallas, the reporter spoke with Colao about a variety of DSO-related topics, including a discussion about the positive ways in which private equity is changing the practice of dentistry, the type of returns organizations are seeing, and the huge opportunity for investors in the middle market. October 6, 2016 – Dykema, a leading national law firm, today announced the addition of Craig Woods to its Commercial Litigation Practice Group and Dental Service Organizations Industry Group as a member in the firm’s Dallas office. Prior to joining Dykema, Woods practiced at the Dallas office of Greenberg Traurig LLP. Woods has a national practice that focuses on serving clients on a broad range of matters, including contractual disputes, breach of fiduciary duty, theft of trade secrets, unfair competition, covenants not to compete, injunctive actions, fraud and deceptive trade practices, products liability litigation, medical device litigation, financial services litigation and complex business litigation. In addition to handling individual claims, he also has experience litigating disputes in the context of class action lawsuits. Woods also has considerable experience advising Dental Service Organizations (DSOs), Medical Service Organizations (MSOs), large practice groups, dentists and other health care providers in various corporate and regulatory matters, including the preparation of regulatory compliant business agreements between DSOs and their affiliated practices and dentists. He also has substantial experience in complex commercial, business and health care law where he has advised and represented Fortune 500 and industry-leading dental, medical and health care companies. April 2, 2015 – Dallas-based attorneys, Brian A. Colao, member in the Dykema’s Litigation Department and leader of the firm's Dental Services Organization Group, and Eric White, senior counsel in the firm’s Corporate Finance Practice Group, co-authored an article—“Social Media and HIPAA: 9 Tips to Stay Compliant”—that appears in the April issue of North Texas Dentistry, a monthly publication aimed at dental industry owners and practitioners in Dallas and its surrounding counties. In the article, the authors discuss how dentists, dental practices, dental service organizations and all employees at dental offices need to be aware of the best practices and pitfalls of using social media in order to protect against unintended distribution of Protected Health Information (PHI). July 1, 2014 – Brian A. Colao, Dallas-based member in the Firm’s Litigation Department and leader of Dykema’s Dental Services Organization Group, authored an article—“Properly Structuring Patient Finance Plans”—that appears in the current issue of North Texas Dentistry, a monthly publication aimed at dental industry owners and practitioners in Dallas and surrounding counties that focuses on key business and operational issues. In the article, Colao outlines the major issues for dental practice executives to consider when creating patient finance plans. Colao also identifies four regulatory hurdles—licensing, disclosures, fees charged, enforcement—that dental practitioners need to ensure are met, so as to remain in compliance with state and, where applicable, federal laws. Colao concludes the article by reminding readers of an essential best practice: “consulting with a lawyer who specializes in consumer finance law,” to be certain that patient finance plans are fully compliant.